Fifty pairs of eyes turning to stare at you when you walk into the room is enough to make you turn around and walk back out. I feel you sis. So, we’re changing that. No more elevator pitches. No more sleazy slipping of business cards. Just meaningful conversation with 49 other other lady entrepreneurs who understand the joy and struggle (sometimes simultaneously) of being a business owner. Because they’re in the trenches right along with you. You’ll immediately meet your host (that’s me!) and I’ll walk you over to meet with your pre-set group of female entrepreneurs. Note: after you get a ticket, you’ll get a questionnaire about the kinds of people you want to meet, so be sure to fill that out thoroughly and honestly, so I can make the best connections for you. 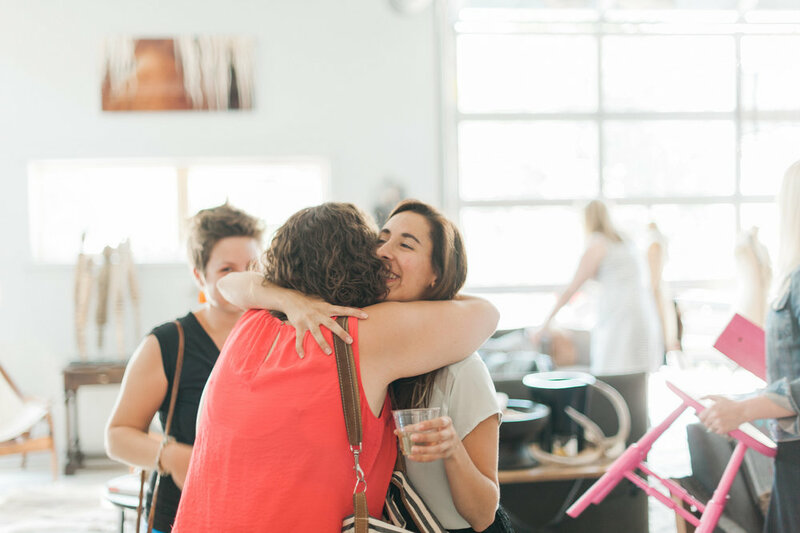 By now, you’ll have a drink and a snack, and I’ll welcome everyone with the story behind why I created this event AND why I believe so fiercely in strong networks and gatherings. The format of this event is such that you get a specific time to introduce yourself and talk about what you’re hoping to uncover in a small group of entrepreneurs. 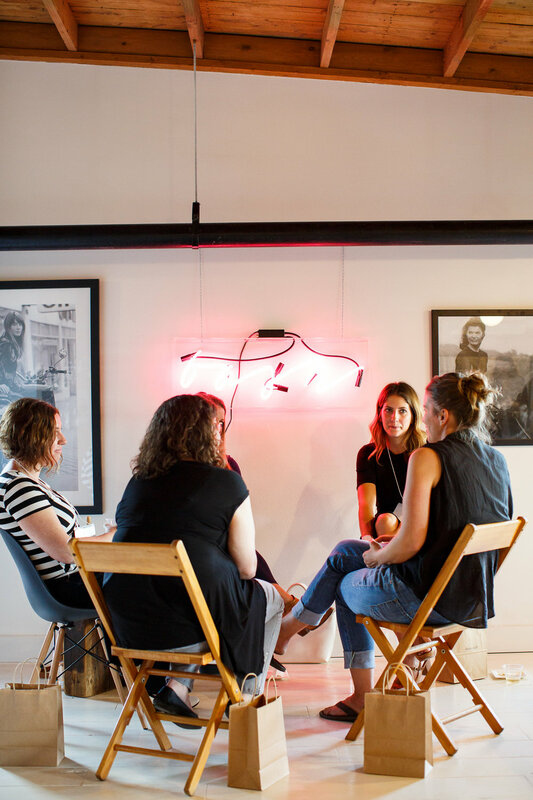 It helps conversations go a little deeper than they normally would, and you will be amazed at the power of discussion with other women who are cheering for you. If you want to keep chatting, you’re welcome to head downtown with a small group of ladies to continue chatting. It’s for you, a creative female entrepreneur, who knows the moniker “creative entrepreneur” means “comes up with creative solutions to solve BIG TIME problems”. It's for the CEO who is running the helm of her business and juggling the rest of her life, too. It's for the solopreneur who started her business with an out-of-date laptop and a credit card (and who has grown SO much since that day). It's for the business owner who hopes for wholehearted collaboration rather than cutthroat competition (because, as we’ll talk about, there are MORE than enough clients and MORE than enough inspiration to go around). It's for the shop owner who needs accountability, understanding, and someone to throw you a confetti cannon when you win really, really big. And really? It's for the women who work so hard at her craft who need a night surrounded by a group of fellow female entrepreneurs who really, truly get it. Because traditional “networking events” make you feel defeated and frustrated. Because you’re constantly comparing your business to prettier/more successful/better businesses on Instagram and it’s getting you down (FYI: you’ll meet them at this event and learn that they have the same fears as you do). Because the slow periods make you crazy and you need to get out of the house. Because the busy periods make you crazy and you need to get out of the house. Because you might meet a client. 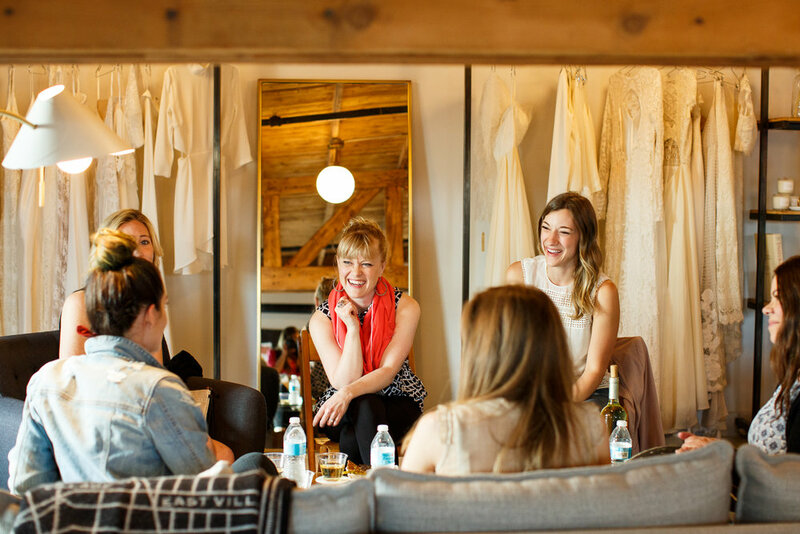 Because you’ll definitely meet a new biz bestie. You fill that out within 7 days (because connection takes time) and send it back to me. You’ll receive exact details about the event two weeks beforehand. Because I want to slowly reveal the juicy details as it happens. •Tickets are NON-REFUNDABLE but are transferrable if requested to support@laurencaselli.com seven days in advance. This is because we are personalizing the event and don’t want to get all your personalized stuff, only to realize you can’t make it. •If the event sells out, please email support@laurencaselli.com to get put on the waitlist (because if someone can’t make it, you could be in like Flynn). I’m Lauren Caselli, and I’m just like you, sis. A creative entrepreneur who slowly built her business (alone), and made some pretty hefty mistakes while doing it. In October 2013, I had been in business for myself for about six months. The freelance work I relied on had dried up, I wasn’t getting any new inquiries, and I was living alone in my own studio apartment. So I struggled for another year before I decided it was time to do something about it. In Summer 2014 I started to put myself out there, looking for amazing ladies who understood the struggle of being in business for yourself. And when I found them, my business TOOK OFF. Brand new clients, AMAZING opportunities, Skype calls with amazing six-figure-generating entrepreneurs who wanted to work with ME (what?). It was a completely new chapter in my life. I created the Bash to ensure that more women had that opportunity for connection, and the opportunity to meet their fellow boss ladies in a way that wasn’t forced. The ones who could sit with them during the slow periods and the ones who would celebrate alongside during the wins. 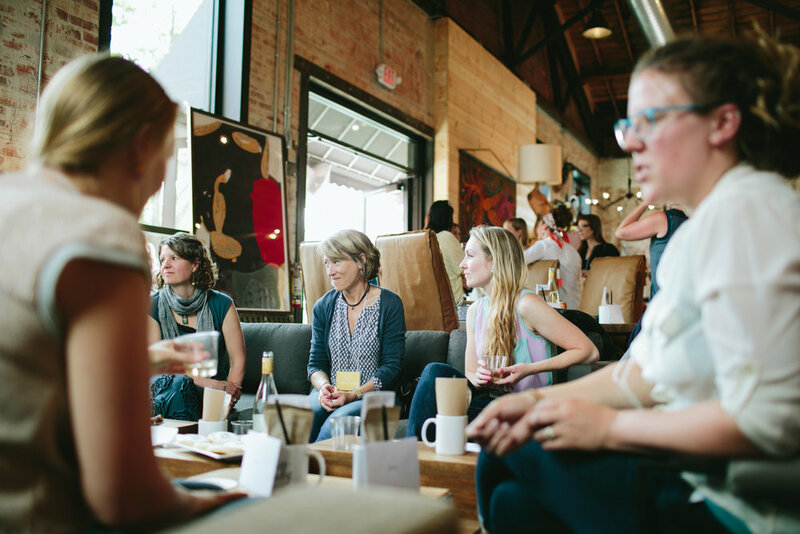 So that we can create a thriving community of lady-owned businesses in Montana and beyond. Because real-life connection is where it begins and I truly believe that you’re only as strong as your network. Now, you just need to find the right network. Are you ready to find them?